Rev. 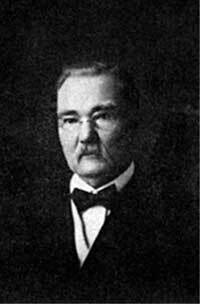 Frederick Arthur Willman served the Ebenezer German Congregational Church in Portland from 1914 to 1918. He was born in Germany about 1852 and immigrated to the United States in 1855. In 1900 he was pastor of an Evangelical Church in Lorain, Ohio; in 1905 he was in Ackley, Iowa and in 1910 he was in McPherson County, South Dakota. After serving at the Ebenezer church, he was pastor in Weatherford parish, Oklahoma (1918-1919); Worthing, South Dakota (1921-1923) and Sioux Fall, South Dakota (1923-1928). Dianne Oldham, North Canton, Ohio, great granddaughter of F.A. Willmann. Eisenach, George J. A History of the German Congregational Churches in the United States. Yankton, SD: Pioneer, 1938. 303. Print.